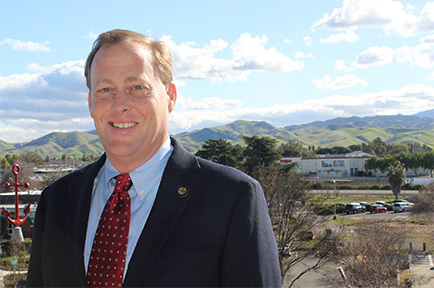 On Monday, February 4, 2019, the Pittsburg City Council unanimously approved the appointment of Garrett Evans as the new City Manager. Mr. Evans, who has served as Assistant City Manager for almost eight years, was selected for his wealth of economic development and technical expertise as well as experience with the community. Mr. Evans has worked for the City of Pittsburg for more than 22 years, starting his career as an Administrative Analyst in 1997. He spent six years as the head of Pittsburg’s Economic and Redevelopment departments. He later became the Director of the Pittsburg Power Company focusing on the development of the $525 million Trans Bay Cable Project until he was appointed Assistant City Manager in 2011. “I am honored to be the next City Manager, this community has seen an incredible transformation in the past 22 years and I am honored to have been a part of that growth,” said Mr. Evans. Mr. Evans’ education includes a Bachelor’s Degree in Psychology from the University of Arizona and a Master’s Degree in Public Administration from the University of Southern California. Mr. Evans and his wife Jill have two children, Jacqueline and Bradford Evans. Way to go Garrett!!!! You deserve it! !